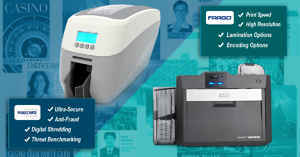 Ever since 1994, Nisca has been manufacturing ID card printers that are known for their unmatched quality, reliability and user-friendliness. 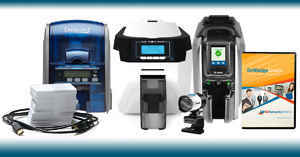 The company�s PR53xx Series features a modular design format � with elements such as UV printing capabilities, micro text formatting, lamination, Magnetic Stripe encoding, and Smart Card features -- so you can build a fully customized ID card issuance program from one simple, yet sturdy, platform. 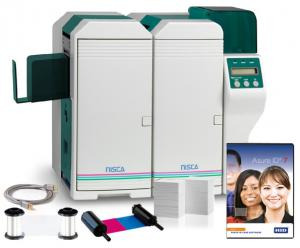 NiSCA�s PR-C101, on the other hand, offers an entry-level ID printer that you can use easily right out of the box. You can ensure the best performance from your Nisca printer with genuine manufacturer-approved Nisca ribbons and supplies. 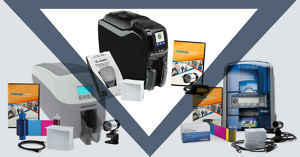 At ID Security Online, you can receive guaranteed lowest pricing on Nisca ID card printer color and monochrome ribbons, laminates, cleaning kits, printheads, transport cases, plus an endless list of Nisca ID card printer parts and accessories. With Nisca�s card printer supplies, you can securely attach your ID tags, photo ID, ID badges and ID cards to your clothing or luggage with ID Security Online�s selection of badge accessories. These pressure sensitive badge clips, ID strap clips, leather luggage straps, and flexible plastic luggage loops keep your identification cards safe and secure. 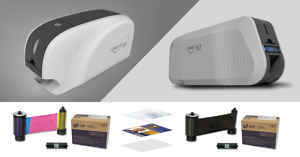 A corner rounder machine laminates sharp edges on pouch laminated products and a slot punch punches holes in laminated products that help keep items secure. 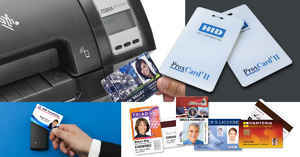 Whether you need additional blank PVC cards, upgrade modules, printheads, or lanyards, ID Security Online carries everything you need to support your ID badge or card printing program, including cleaning supplies, ID card creation software, and lamination!